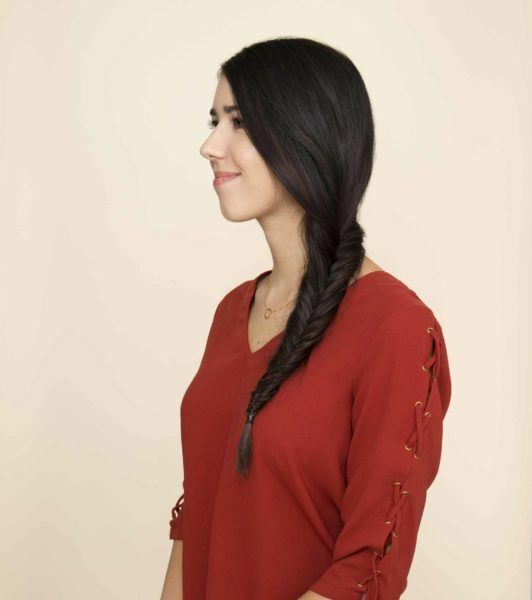 An elegant braid taken to the side is a classic for the holidays and beyond. The past year has definitely been the year of the braid, no question about that. And if you think we’re ending 2017 without paying homage to one of our fave looks, think again! We’re capping off the year by giving props to the chic side fishtail braid, which in our opinions, like with the half-updo and 1990s bob, has definitely reached cult status. 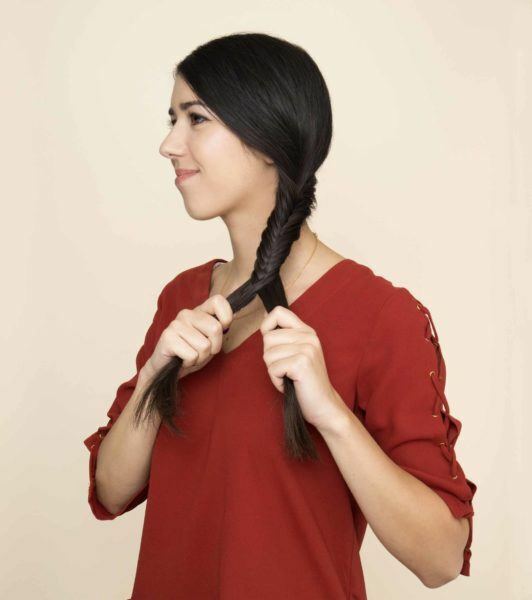 Prep hair for your side fishtail braid by washing with a system that strengthens and imparts thicker-looking strands. We like the fullness and smoothness we get from Nexxus Diametress Shampoo and Nexxus Diametress Conditioner. Rinse thoroughly, and follow up with a thermal protectant, such as TRESemmé Thermal Creations Blow Dry Balm, before blow-drying with a paddle brush. 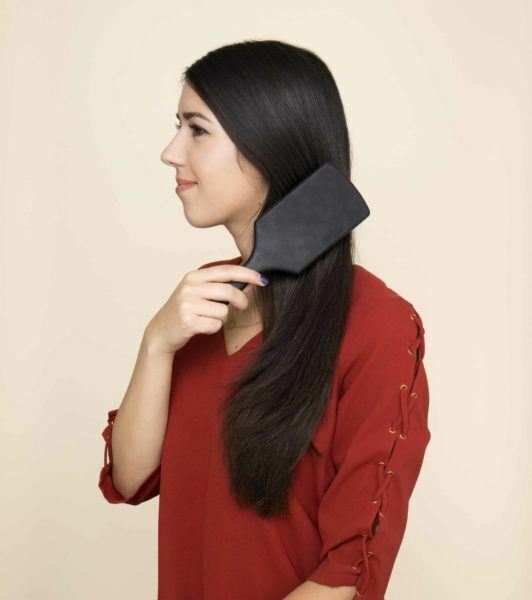 Brush hair over one shoulder, effectively creating a side part. 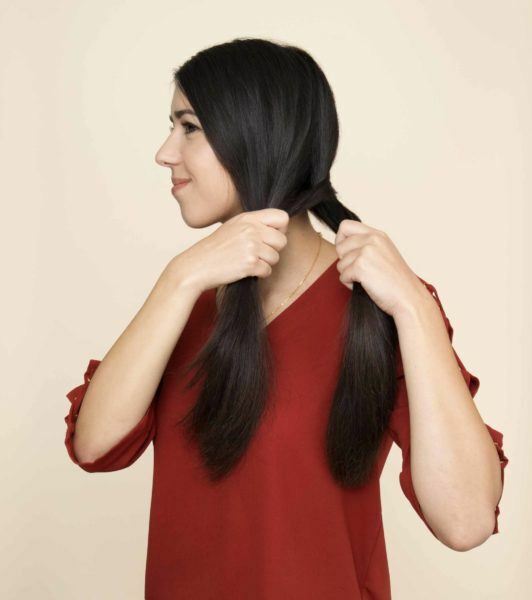 Then split all your hair into two thick sections. Pinch off a small strip from the inner section. 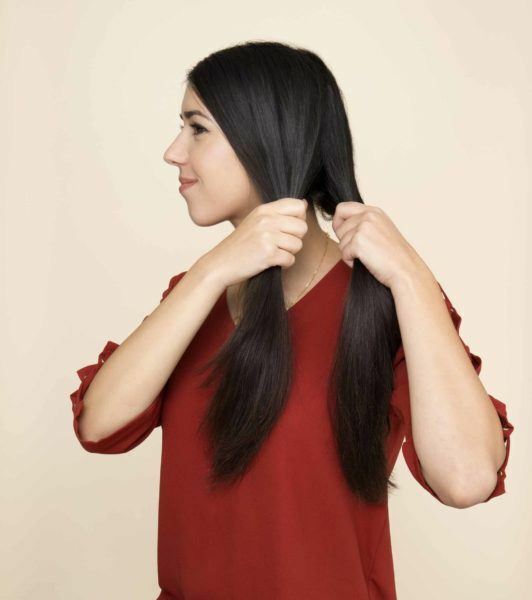 Take a small strip of hair from your inner section (or the section nearest your neck) and cross it over to join your outer thick section. Incorporate it into the opposite section. Incorporate the thin inner strip into the thick outer section. Smooth down. Repeat the same process on the outer section, which has your fringe/hairline pieces. 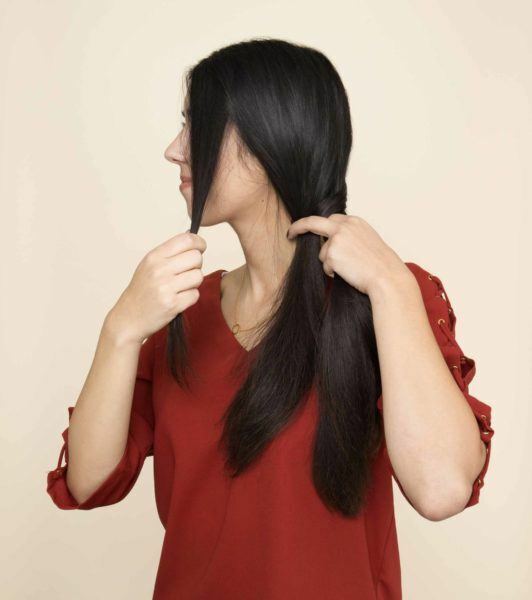 Take a thin strip of hair on the outermost side of that section, and cross it inwards and over towards the entire opposite section. Incorporate into the inner section. Grasp the new strip and smooth it down in the opposite section. Repeat steps three to six, where you take the outermost strip of section A and cross it over to join the entire section B, followed by the outermost strip of section B crossed over to join the entire section A. (Takes practice.) Take your time, and working this way, from the outwards in, and you will eventually see a herringbone pattern emerge from the base of your plait. 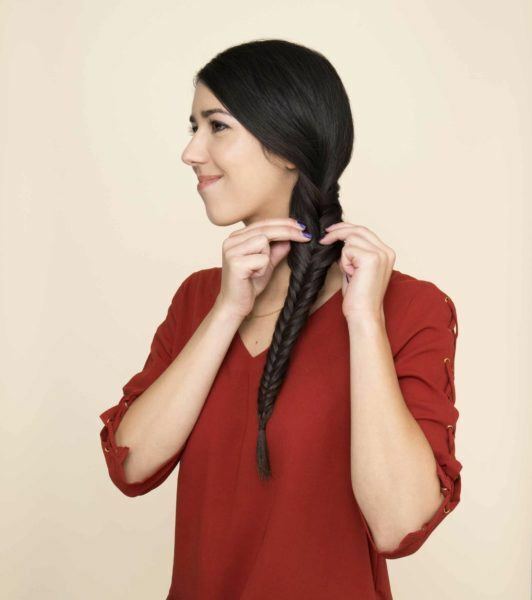 Continue your plait till you reach the ends. 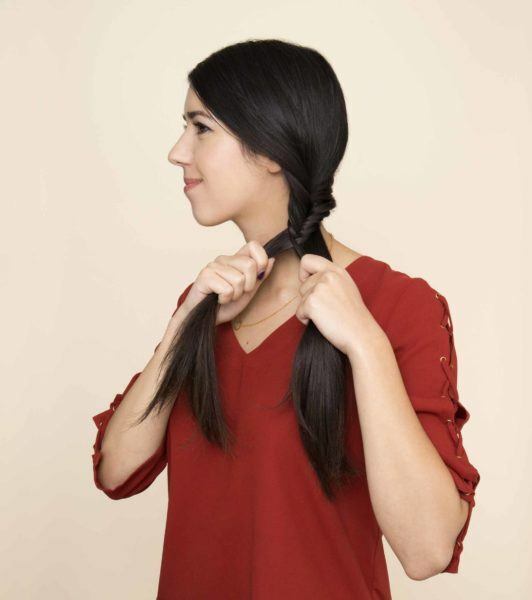 Secure with a neutral-colored hair tie or a bright or metallic ribbon, for a festive touch. Pancake, or tug, the sides of each chain so it fattens out for a trendier look. You can also take this opportunity to even out any lopsided chains. 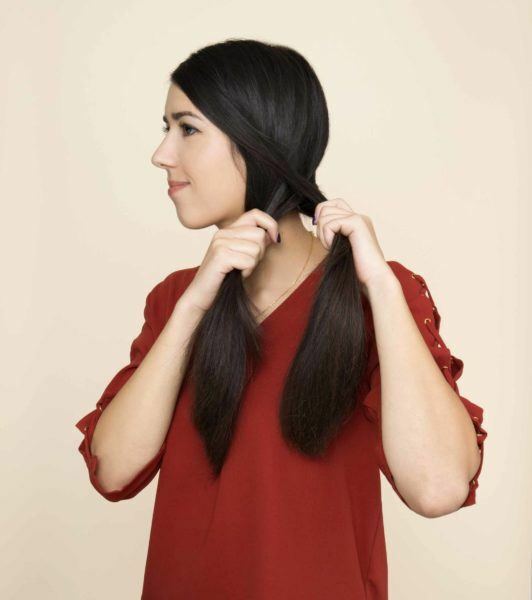 For a clean look without any halo frizz (a.k.a. 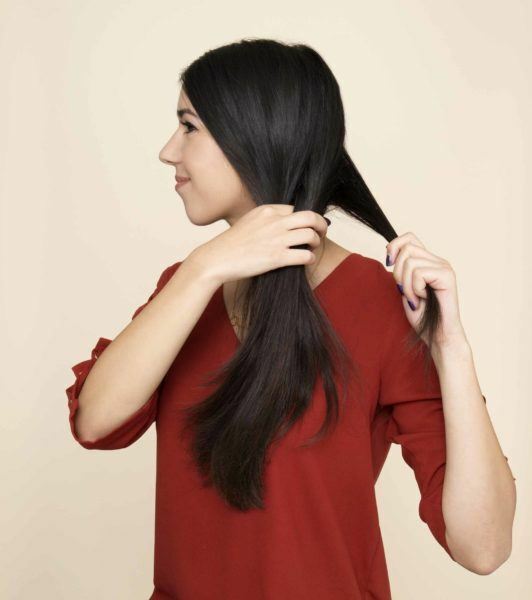 those baby strands that stick out when hair is pulled back), finish with a frizz-controlling hairspray, like TRESemmé Keratin Smooth Frizz-Free Hold Hairspray. Hold the nozzle around 12″ away, or until your arm forms a capital letter L. You’re all set! Obsessed with fishtails? We don't blame you.